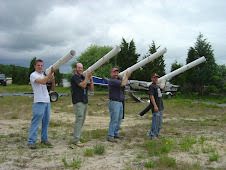 Well last year I submitted a manuscript to the Journal of Shellfish Research for publication about the field studies I was doing with scallop survival in different habitats. It was rejected outright. I was dejected. But, I took a while to think about it, took all of the reviewers comments and decided that I could make the paper work, somehow, and try again. Even though I won an award for this work when I presented it as a student at the National Shellfish Association's 100th annual meeting, things needed to be worked out. With the co-authors, I set out to re-write the manuscript in a more readable and presentable manner. We cut out the extemporaneous materials, the unquantified text and thought we had something still worthy of publication. 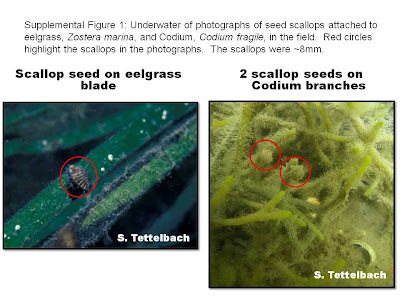 We wanted to get out information out there: that the introduced alga, Codium fragile, could serve as a potential predation refuge for the bay scallop, in a similar manner to native eelgrass. The data was the same, the way it was presented was different. I went to the benthic ecology meetings in Texas and presented the work there to get more feedback. I tried submitting it to another journal. This time the results were different. Success!!!!! My manuscript was accepted to Marine Biology. No proofs yet, but still very exciting to know the work was deemed worthy for peer-reviewed publication. But this whole saga has helped me re-direct a portion of my dissertation work, one in which I focus on multiple aspects of the impacts of Codium on bay scallops - not just short term (1 week long trials) survival. 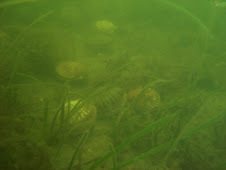 I placed adult scallops in eelgrass, Codium and bare sediment to monitor their gonad indices and growth over a 10 week period. 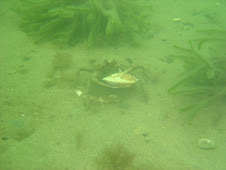 I have placed juvenile scallops at the same locations as well as other locations with codium and eelgrass. These are still out in the field. In addition to monitoring their survival and growth (in predatory exclusion cages), I am also monitoring water quality conditions such as chlorophyll, in addition to sediment conditions such as benthic chlorophyll and porosity. Hopefully soon I will have a better grasp on the way scallops and Codium interact.